Medium (3/4" - 1") A/B Grade - 1pc. Large (1" - 1-1/2") - 1pc. XL (1-1/2" - 2") - 1pc. Jumbo (2" - 3") - 1pc. Blue Apatite Natural Chunks (Brazil) - These are beautiful natural Blue Apatite chunks from Brazil. 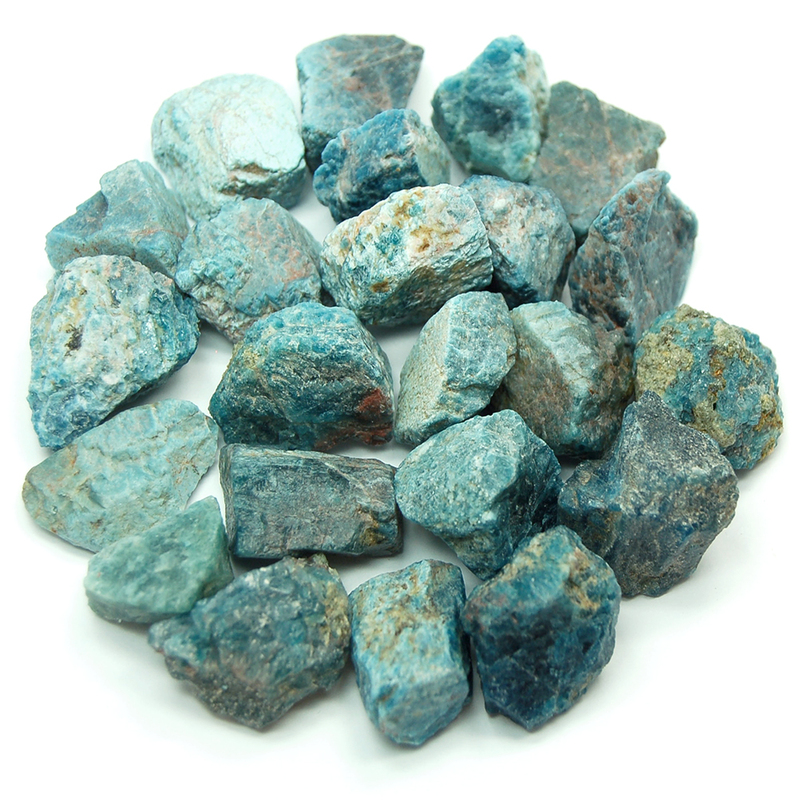 We are delighted to be able to offer this quality Apatite in a variety of sizes. Blue Apatite energetically acts as a hunger suppressant. 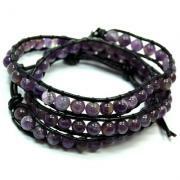 Simply wear or carry a piece with you throughout the day. 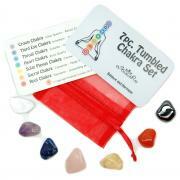 Blue Apatite also eliminates blockages and returns the body to balance. Blue Apatite can cleanse the aura of cluttered energies, bringing a renewed sensation to the body. Blue Apatite is a good stone to help balance the chakras, as well as the energies of Yin and Yang. 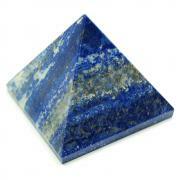 Blue Apatite enhances manifestation of ideas to reality and facilitates getting results. It has traditionally been associated with humanitarian efforts and teaching. Blue Apatite is also known for bringing clarity of mind and expansion of insights, and is especially helpful when diligent study is needed to uncover the truth. Blue Apatite enhances communication and self-expression on all levels, making this a great stone for teachers and writers. Blue Apatite encourages openness and ease in social situations, a quality that makes it especially useful for autistic children. Blue Apatite acts as a good balancer of energies, emotions, chakras, and subtle bodies, as well as the male and female aspects of the self. Blue Apatite can help to effectively work within the dream state to form solutions to perplexing problems. Those who are overemotional can benefit from Apatite's ability to highlight logical solutions and induce calm states of mind. Blue Apatite can also be used as a Third Eye Chakra connecting the user to higher levels of spiritual guidance. 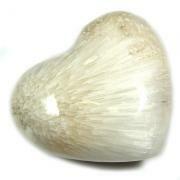 Use Blue Apatite to deepen and maintain focus in meditation. Blue Apatite can also initiate, stimulate, and/or increase the development of psychic abilities, such as clairvoyance and clairaudience. 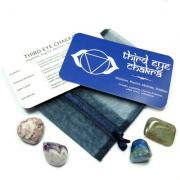 Meditation with a Blue Apatite Crystal on the Third-Eye Chakra can open this chakra up to more subtle vibrations. Used at a physical level, Blue Apatite will focus healing energy on the body's systems, glands, meridians and organs. It also strengthens bones and teeth as well as cartilage. Apatite is also quite handy to take with you to the dentist, as it eases the fear associated with such visits. Blue Apatite chips/chunks would be the perfect companion for pockets, crystal pouches and medicine bags. 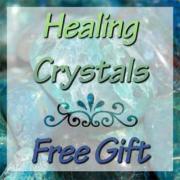 Add Blue Apatite chunks to a special grid or to clear the energies in a space. Affirmation: I am open to receiving spiritual wisdom and knowledge. Question: How do you access your Higher Self?